Henri-Émile-Benoît Matisse (31 December 1869 – 3 November 1954; aged 84) was one of the most famous artists of the 20th century. He was trained at the Académie Julian where he was a student of William-Adolphe Bouguereau. He was also a student of Symbolist Gustave Moreau at the École des Arts Décoratifs, in Paris. His first works are therefore traditional. For instance, the above painting is a genre painting. Genre paintings show people engaged in every day activities. 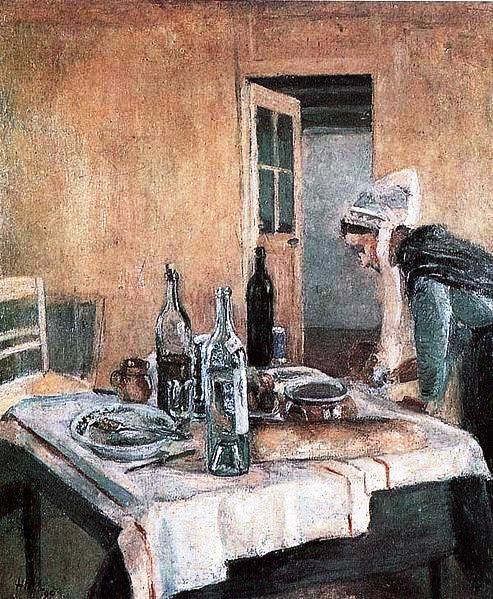 Matisse’s Maid, is in fact reminiscent of Jean-Baptiste-Siméon Chardin. Matisse was also influenced by Nicolas Poussin (17th century) and Antoine Watteau (18th century). As an academic painter, Matisse earned recognition from the start. In 1896, the year he painted his Maid, he was elected an associate member of the Salon – academic – society. 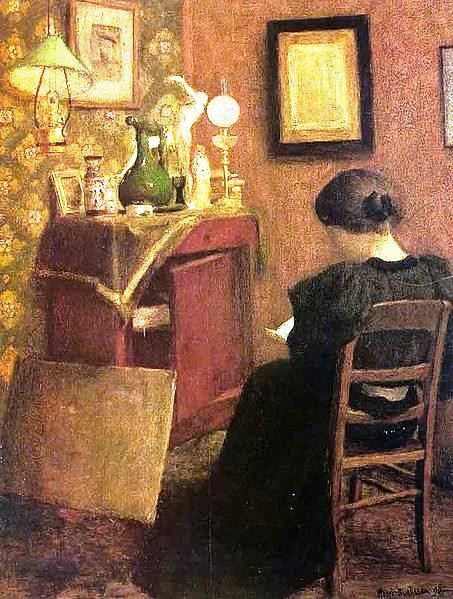 Moreover, his Woman Reading (1894), shown in the gallery below, was purchased by the government. However, Matisse’s artistic orientation broadened when he visited Australian artist John Peter Russell who had settled with his wife at Belle-Île, off the coast of Brittany. Russell knew Vincent van Gogh and Claude Monet, which could explain the Fauvist period of Matisse’s life. 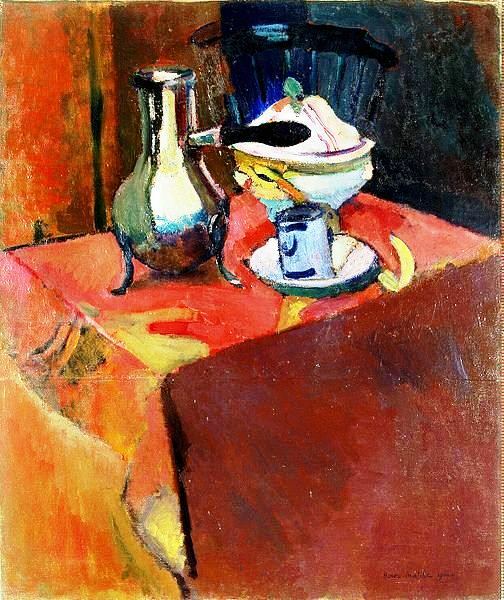 Fauvism is characterized by the use of vivid colours. 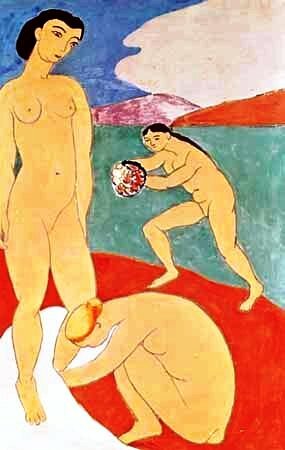 But, generally speaking, Matisse was an eclectic modernist. His training as an academic painter served him well, as did the year he spent in England studying the works of J. M. W. Turner. Matisse’s paintings also reflect the influence of Japanese and Islāmic art but, above all, they stem from an inner and very personal vision. Artists are influenced by what they are seeking. However, Matisse is linked with an art movement called Fauvism. Following his trip to Belle-Île, Matisse turned to vibrant colours. In 1905, he showed Woman with a Hat at the Salon d’Automne. The Salon d’Automne is an annual art exhibition held in Paris France since 1903. 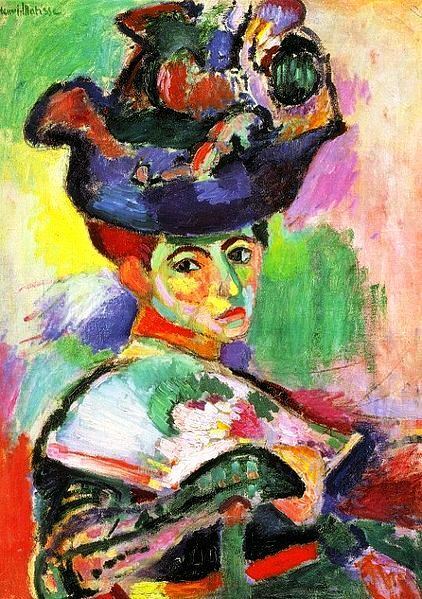 Woman with a Hat, a portrait of his wife Amélie, brought criticism to Matisse. After visiting the Salon d’Automne “Paris critic Louis Vauxcelles called the group les fauves (“the wild beasts”), and thus Fauvism, the first of the important “isms” in 20th-century painting, was born. Almost immediately Matisse became its acknowledged leader.”[i] Other “fauvistes” are André Derain, its co-founder, and Maurice de Vlaminck. By 1905, “Matisse’s studies led him to reject traditional renderings of three-dimensional space and to seek instead a new picture space defined by movement of colour. He exhibited his famous Woman with the Hat (1905) at the 1905 exhibition. In this painting, brisk strokes of colour—blues, greens, and reds—form an energetic, expressive view of the woman. The crude paint application, which left areas of raw canvas exposed, was appalling to viewers at the time.”[ii] Matters were remedied when Gertrude Stein and brother Leo bought the painting which is now the property of the San Francisco Museum of Modern Art. The foremost patron and promoter of Henri Matisse’s art was Sarah Stein, Michael Stein’s wife. As for Gertrude Stein (February 3, 1874 – July 27, 1946) and Alice B. Toklas (April 30, 1877 – March 7, 1967), they had a salon, 27, rue de Fleurus, to which artists and art collectors flocked on an appointed day, Saturday I believe. In 1928, when he was composing An American in Paris, George Gershwin (September 26, 1898 – July 11, 1937) noted that “[his] purpose here [was] to portray the impression of an American visitor in Paris as he strolls about the city and listens to various street noises and absorbs the French atmosphere.” (See An American in Paris, Wikipedia.) In the 1920s, Gershwin had been a student of famed pianist, composer and teacher Nadia Boulanger (16 September 1887 – 22 October 1979). At that time in the history of art, the end of the 19th century and early 20th century, the beau monde of the United States, Hemingway and others, lived in Paris, some, on an almost permanent basis, others, as frequent visitors. 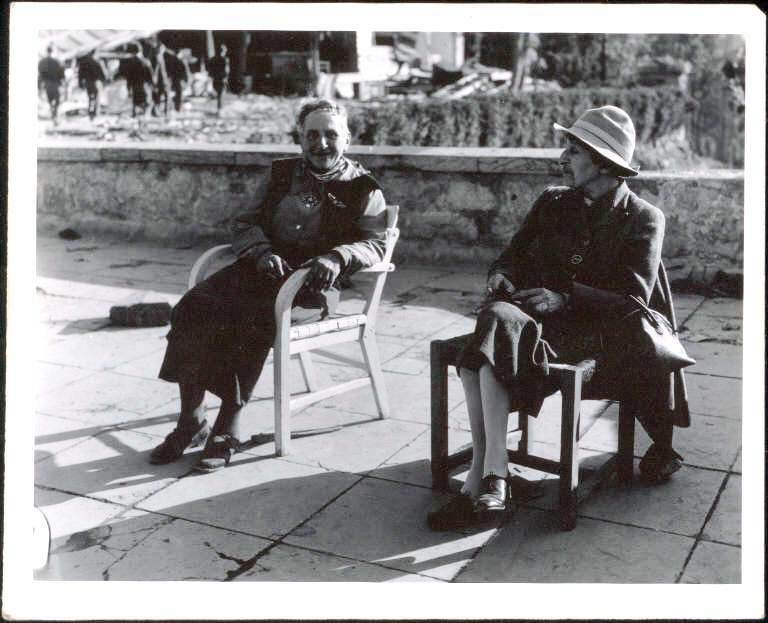 The Cone (Kahn – Guggenheimer) sisters, Claribel and Etta, visited Paris at every chance and were generous patrons and collectors of modern art. Ironically, the success of modernist artists in France is inextricably linked to America’s Gilded Age and the years preceding the Great Depression. Matisse would soon break from Fauvism and adopt black as a colour. However, as of his Woman with a Hat and the support of Paris’ American colony, he had become an established artist, which gave him some freedom. He lived in relative affluence for the rest of his life, wintering in southern France and traveling. On a sadder and somewhat extraneous note, among possessions Matisse’s first American patron, Gertrude Stein, bequeathed to Alice B. Toklas, were works of art, including Picassos. Because Gertrude and Alice were not married, the Stein family repossessed her collection when its value started to rise. According to Wikipedia, “Stein’s relatives took action to claim them, eventually removing them from Toklas’s home while she was away on vacation and placing them in a bank vault.” (See Alice B. Toklas, Wikipedia.) Alice was not compensated and died in poverty, which should not have been the case. However, she is buried next to Gertrude in Père Lachaise Cemetery in Paris. [i] “Henri Matisse”. Encyclopædia Britannica. Encyclopædia Britannica Online. [ii] “Fauvism”. Encyclopædia Britannica. Encyclopædia Britannica Online. 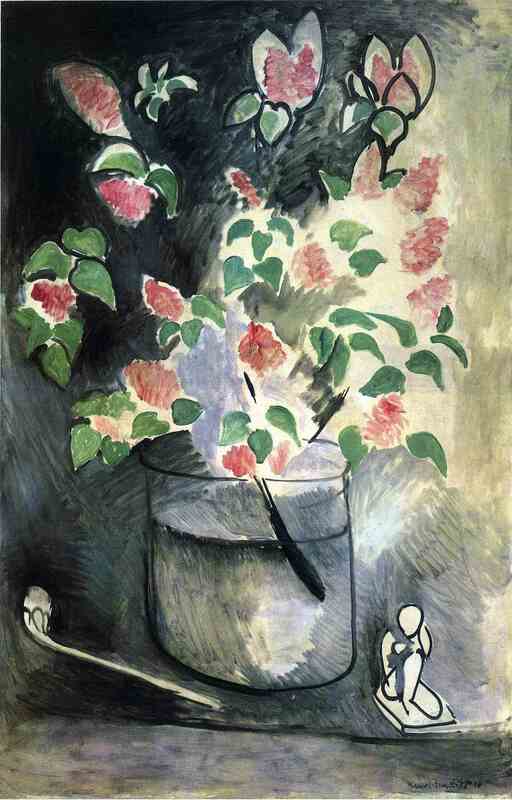 [iii] “Henri Matisse”. Encyclopædia Britannica. Encyclopædia Britannica Online. Not only has Philip Scott Johnson made the lovely video we saw on 3 April 2013, on Picasso, but he has made a series of videos, one of which is on Matisse. The music is Debussy‘s Arabesque No. 1 in E Major, performed by Peter Schmalfuss, piano.